Were you injured in a motorcycle accident? It can happen all of a sudden, even if you are a safe motorcyclist who obeys the rules of the road there is always someone on the road who is either in a hurry, inattentive, on his or her cell phone, driving while under the influence of drugs or alcohol or simply driving dangerously in total disregard for the safety of others. In a busy city, motorcycle accidents are common and in many instances someone will suffer a severe life disabling injuries. According to the Los Angeles Times, 5000 Motorcyclists died in 2015 across the US, pp from 4,548 in 2014. On the basis of miles driven, the fatality rate for bikers was 26 times higher than that of passenger vehicle occupants in 2013, the last year for which comparable numbers have been compiled. In California, motorcycle deaths represented 17% of all road fatalities, though motorcyclists nationwide represent only 3% of registered vehicle owners and are responsible for only 1% of vehicle miles traveled. If you or your family were injured in a car, pedestrian, or motorcycle accident which was caused by another driver, then it is critical to get a personal injury attorney to represent you so that you may obtain a recovery that fully compensates you for all your losses. We have a record of getting millions of dollars in results for clients. We identify damages and injuries that are overlooked by many people. These normally fall within the quality of life circumstances and are compensable losses (you can receive money for you pain and discomfort). From reconciling your medical records, evaluating your damages, assessing liability issues and interviewing witnesses in an accident, a personal injury attorney ensures that you are getting the maximum recovery you are entitled to. Don’t settle for less. 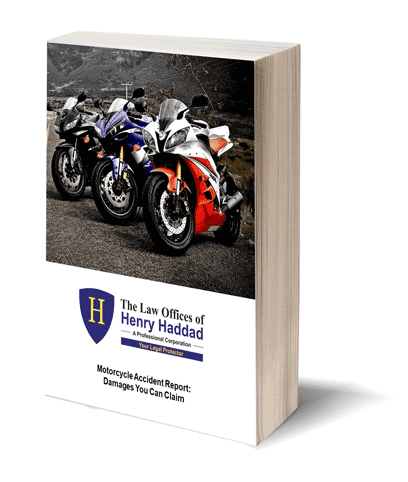 Download your free motorcycle accident report. It goes over not only what to do when your in an accident, but how to set up your insurance NOW to avoid costly medical expenses. If you do not have medical insurance we can arrange for you to get medical treatment from the best professionals. You won’t have to pay for your medical treatment out of your pocket; this allows you to focus on your recovery and your family-the most important things in life. This includes hospital stays and surgeries, if necessary. After a personal injury, your mind is under emotional turmoil-shock, trauma, depression, etc. Your attention is on you or your families injuries and on recovery, and it is often difficult to focus on obtaining documents, carefully reviewing details and deadlines, and dealing with sharp minded insurance adjusters whose sole purpose is to deny your claim or pay a minimum amount on your claim. What are you entitled to? What are all the important pieces of evidence you need to maximize the settlement in your case? The insurance companies and witnesses don’t have your best interest in mind. They are often trying to collect the most, pay the least, or avoid the situation. You need someone who will fight for your rights, negotiate aggressively, and not stop until the case is closed and you are given what you deserve. Los Angeles injury lawyer Henry Haddad personally reviews and handles every one of our personal injury cases. He is active in negotiating and has over 30 years of experience in personal injury alone. There is no second class team running your case-you get our personal time and attention. Part of the process involves maintaining your mental health and financial well-being. It is important after an accident that you maintain a positive outlook on life, envision yourself healing, and look forward to a productive future. There are several great books on the topics, including Dr. Maxwell Maltz’s Psycho-Cybernetics, a book that discusses the power of imagination in goal setting and healing. This may seem trivial, after suffering from a personal injury incident, maintaining mental health is critical for your long term success and full recovery. It should not be underestimated. If you are in a severe accident, you need to ensure that your personal injury attorney has the knowledge and experience to negotiating with insurance companies and to take on the big boys from downtown law firms. 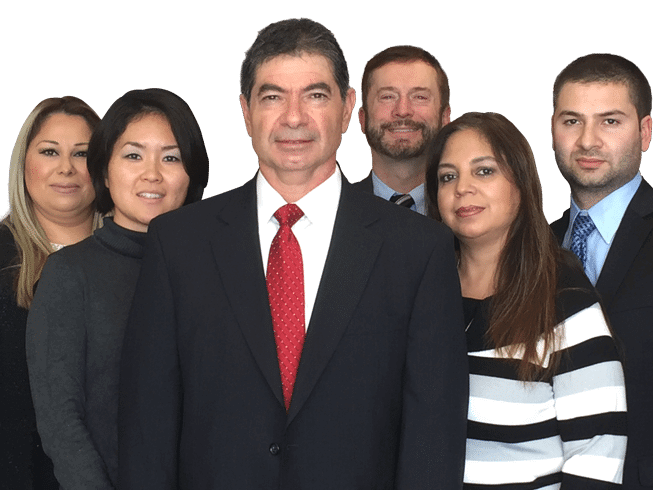 You need someone who has experience with large settlements, and who can get you and your family the full value your case. Contact us today to get in touch with a personal injury lawyer who can help. in less than 2 minutes.